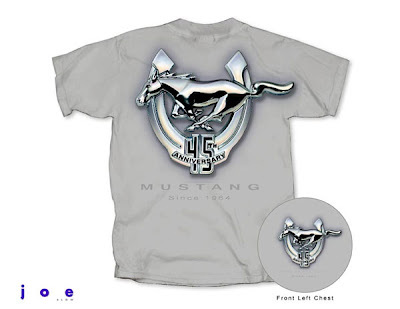 We just got these great new Mustang Logo T-Shirts in featuring a 45th Anniversary Logo. The logo appears on both the left front chest area and the back of the shirt. The color is called "Ice Grey."